Innoslate allows you to add an image to an existing entity. From the left side-bar in 'Entity View' or any 'Metadata' tab found in the left sidebar throughout Innoslate, click the 'Upload' button located below the entity's placeholder image. This causes your web browser's 'Open' file dialog to appear. Browse and select the image you would like to add to an entity and click the 'Open' button. Once your image has finished uploading, a thumbnail of your selected image will be displayed instead of the placeholder image. Remember to save by clicking the 'Save' button located on the entity row or toolbar throughout Innoslate, to persist your changes to your project's database. Placeholder images are displayed for every entity when an image has not yet been added. Placeholder images are composed of a black background with the name of the schema-based class centered in the foreground. From the left side-bar in ‘Entity View’ or any ‘Metadata’ tab found in the left sidebar throughout Innoslate, click the ‘Upload’ button located below the entity’s placeholder image. This causes your web browser’s ‘Open’ file dialog to appear. Browse and select the image you would like to add to an entity and click the ‘Open’ button. Once your image has finished uploading, a thumbnail of your selected image will be displayed instead of the placeholder image. 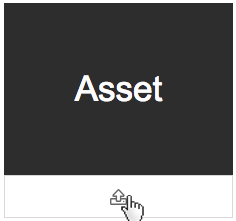 Remember to save by clicking the ‘Save’ button located on the entity row or toolbar throughout Innoslate, to persist your changes to your project’s database.